Despite being a Muslim city alcohol is freely available in most hotels, pubs, nightclubs and bars in Dubai. However, the sale and consumption is subject to strict laws that are applied without discrimination. To be able to purchase and sell booze, licenses are required and a form needs to be filled out in order to procure it from stores for consumption. Along with a form, a few documents have to be submitted as well. These include your salary slip, visa, passport photographs, passport, housing contract and signature from your employer. Once the license is awarded, it has to be renewed every year. If you are looking to get a license, make sure you’re aware of the basic laws and guidelines regarding drinking in Dubai so you don’t end up getting into any trouble. Just like in most countries and cities, the legal age limit to drink in Dubai is 21. You may be asked to show your license some times, but this is not generally done in bars. However, if you do not have a license and get caught drinking, you'll be in for a fine and/or imprisonment. The licenses are only awarded to non-Muslims but some Muslims will also be seen drinking in the bars. Tuesdays and Saturdays are generally considered to be ladies nights in most bars and clubs when they are served certain alcoholic beverages. Where can alcohol be consumed? Drinks are freely available in most hotels, a few restaurants, and all the bars and nightclubs. They do not generally ask for a license before serving. You can also drink in private parties or at home, away from public eyes. When will alcohol be unavailable? The bars are closed and liquor selling is stopped in Ramadan. This is why many stock up their shelves well before that. Alcohol is also not served during official mourning periods. These can be as many as 40 days or as less as one. When can alcohol get you in trouble? Drinking and driving is a serious offence and can get you a fine and a jail term. The rule is simple; don’t drink and drive. Ever. You cannot drink in public places or around the general public. This includes shopping malls, parks and the roads. You should also not be ‘drunk’ in public since it is an offence. If you want to drink, it should be done to a moderate level. Although some hotels in Dubai stop serving alcohol during Ramadan, many still do. However, the rules against public drinking are even more strictly applied in Ramadan. What kind of penalties can be imposed? 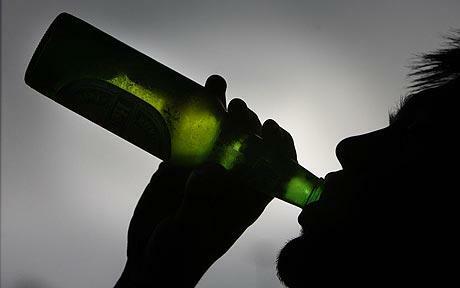 Anyone found breaking the law against drinking can be fined, jailed, deported and even lashed. The court has the discretion to order one or all of these punishments.